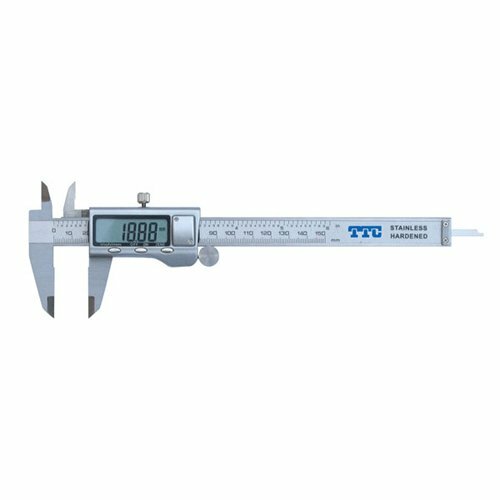 0-12'' METAL CASING DIGITAL CALIPER - TTC by TTC at The Native People. MPN: 57-016-372. Hurry! Limited time offer. Offer valid only while supplies last. .47" (12mm) high LCD display. Zero setting at any position. Power on/off at any position, variable measuring origin (zero). If you have any questions about this product by TTC, contact us by completing and submitting the form below. If you are looking for a specif part number, please include it with your message. INSIZE 1108-150CAL Electronic Caliper with ISO17025 Calibration Certificate, 0-6"